Does prison solve the problem of crime? In a smart criminal justice system, prison isn’t the only response to crime. It is just one — and not the most important. when a person has been sentenced to a prison term. Over the last two centuries, it has been assumed that imprisonment leads to positive outcomes, such as increased public safety, justice for victims, deterrence, rehabilitation; and denunciation, meant to express our values. It is certainly accepted that those with a record of violent behaviour should be confined, as long as they are deemed likely to commit further violence, to protect the community. But the justification for imprisoning those who have committed non-violent crimes is weaker, and there is mounting evidence that the other assumptions about incarceration don’t hold. In Canada, at a time when there are now more people in detention awaiting trial or sentencing than there are serving sentences, violent crimes accounted for about one-fifth of offences reported by police in 2011. 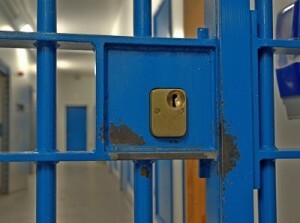 The majority by far (78%) of all inmates in provincial jails and a third (33%) of those in federal facilities are serving sentences for non-violent crime. Prison is an expensive way to deal with offenders who are not violent or dangerous — in 2009-10, it cost on average $113,974 to house an inmate in a federal facility for a year— and it’s not the right place to deal with the top factors of crime: addictions, mental illness, unemployment and lack of education that affect so many inmates. Although they only make up 3% of the population, Aboriginal people make up 18.5% of the federal prison population — and rates of addictions, mental illness, unemployment and low education are worse among Aboriginal than non-Aboriginal inmates. There’s also growing concern that prison may actually make crime worse: overcrowding has become widespread in both federal and provincial prisons, which increases stress and the risk of violence while reducing access to programs that might otherwise be beneficial to inmates. Most inmates, we have always to remember, are eventually released. We’ve known for a long time that incarceration doesn’t deter crime, prevent crime or help offenders as much as community programs, nor does it meet all of a victim’s needs. In other words, prison doesn’t solve the problems of crime, it aims to punish crime. The irony is that by swallowing such a huge portion of public funds — every dollar spent on prisons is not spent on health, education, community services or employment support — it punishes victims and communities too. As our addiction to punishment and prisons persists, it is turning criminal justice proceedings into a struggle to avoid prison rather than a means of dispensing justice. The delays and diversions that plague the courts are consuming time and resources that could be used to solve the problems of crime and meet victims’ needs. So the Smart Justice approach to prison is to reserve it for violent and dangerous offenders, and as a response of last resort, while aiming to solve the problem of non-violent crime in ways that are effective for people and for the public purse — outside the prison system.